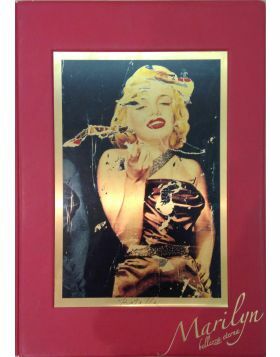 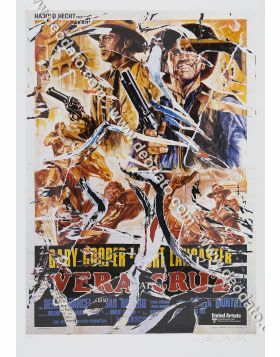 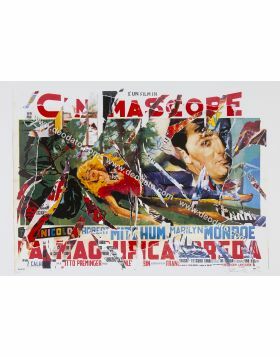 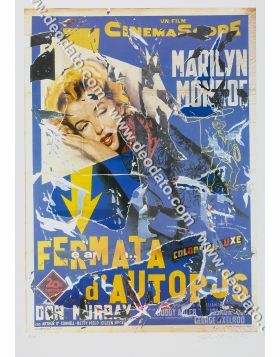 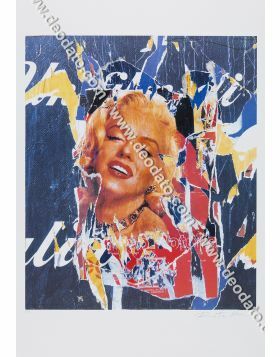 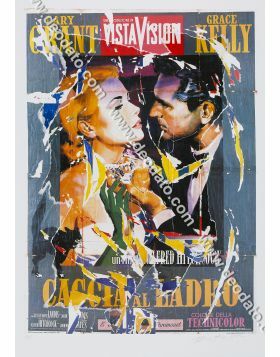 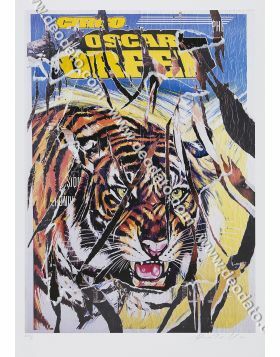 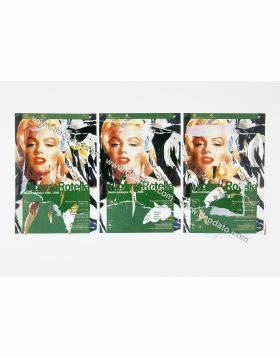 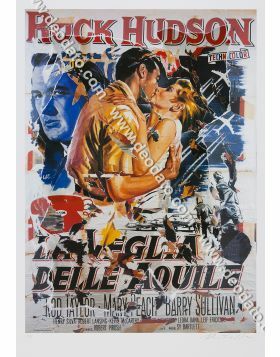 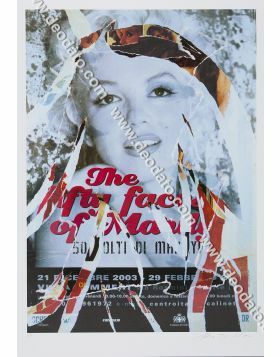 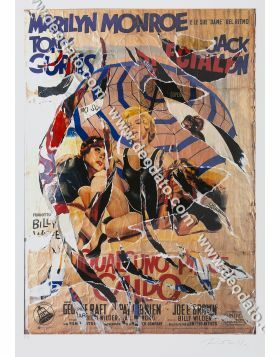 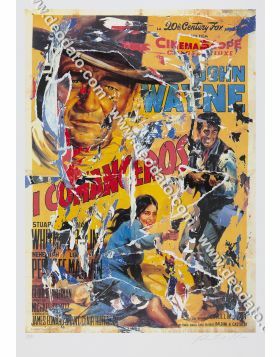 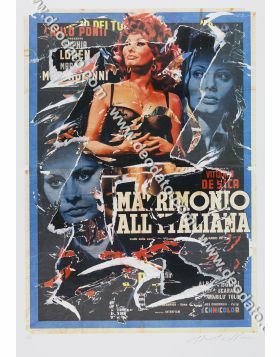 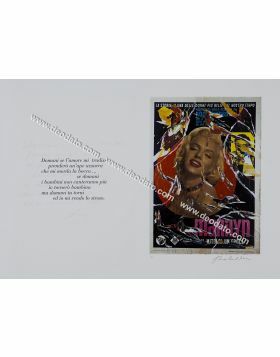 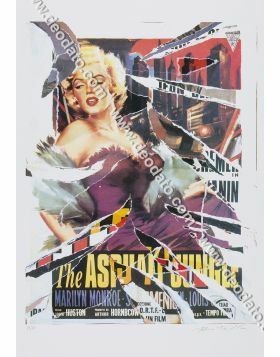 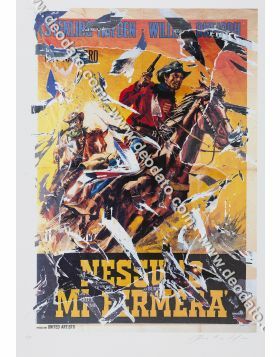 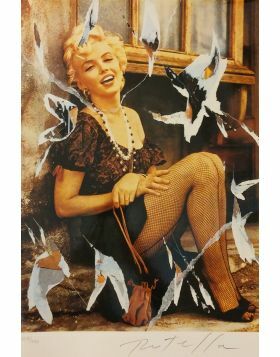 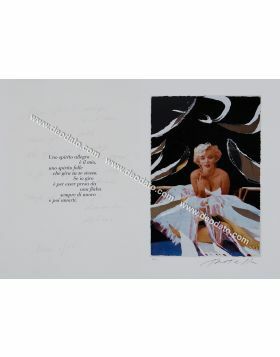 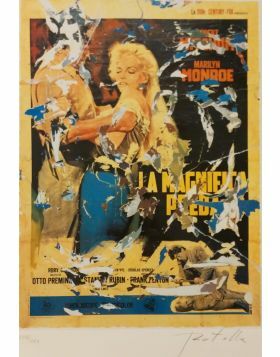 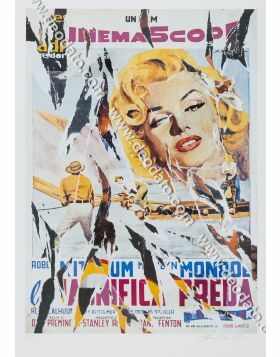 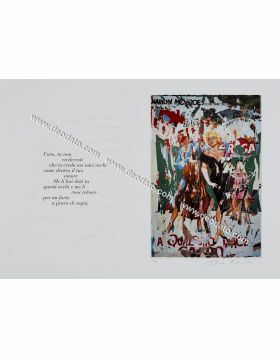 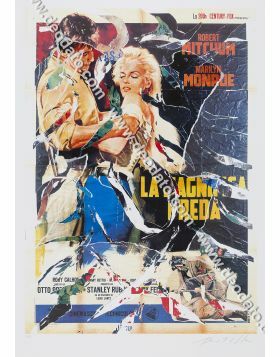 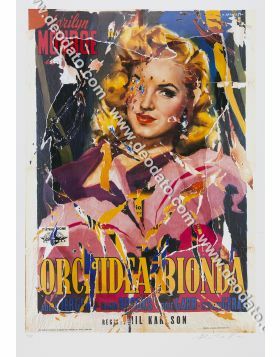 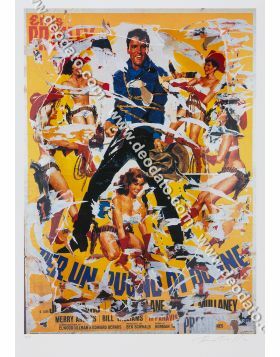 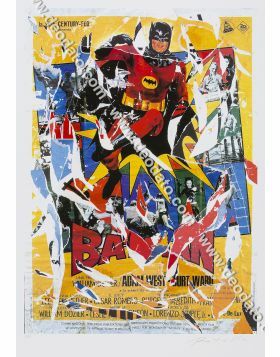 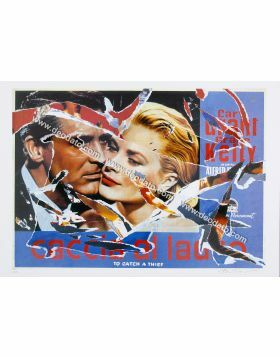 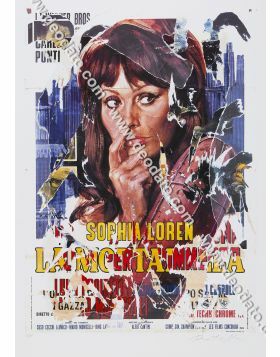 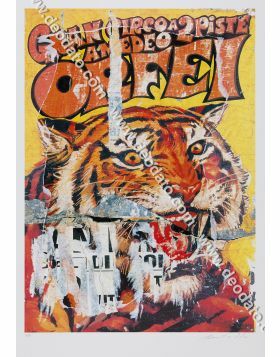 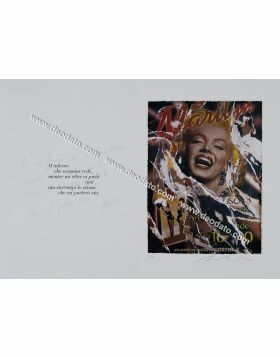 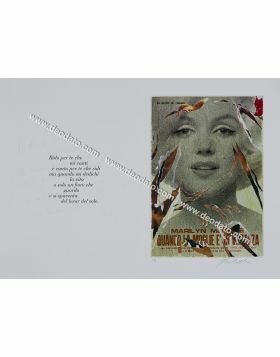 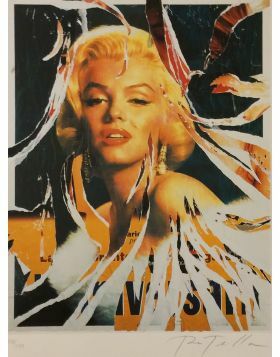 SeriDécollage by Mimmo Rotella torn by hand that portraits James Dean in Giant 1956 a movie starring also Elizabeth Taylor, Rock Hudson. 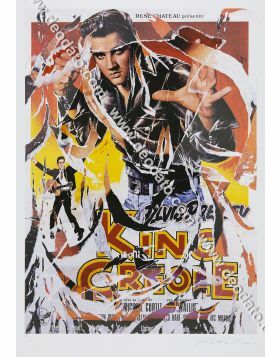 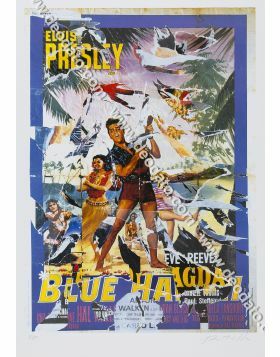 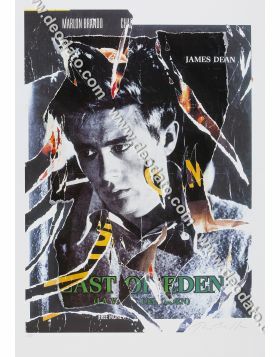 It his the last James Dean's film before his death. 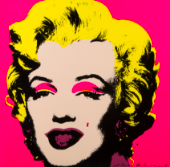 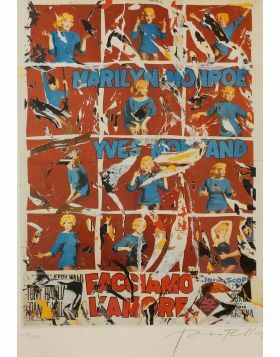 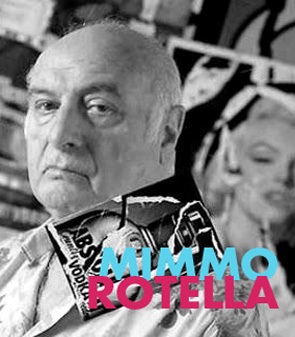 Nota Timbrata a secco dalla Fondazione Mimmo Rotella in basso a sinistra.